Uroxite: Mineral information, data and localities. Named for its composition uranyl (UR) oxalate (OX). 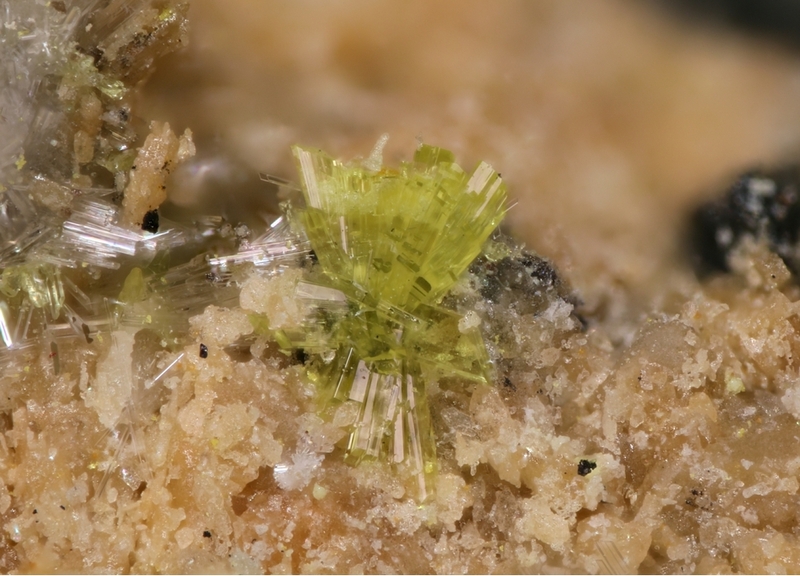 First uranyl oxalate found in nature. Bitumen A sticky, black and highly viscous liquid or semi-solid form of petroleum. 10.AB.10 Glushinskite Mg(C2O4) · 2H2O Mon. 10.AB.15 Moolooite Cu(C2O4) · 0.4H2O Orth. 10.AB.30 Wheatleyite Na2Cu(C2O4)2 · 2H2O Tric. 10.AB.50 Caoxite Ca(C2O4) · 3H2O Tric. 10.AB.65 Coskrenite-(Ce) (Ce,Nd,La)2(C2O4)(SO4)2 · 12H2O Tric. 10.AB.75 Zugshunstite-(Ce) (Ce,Nd,La)Al(C2O4)(SO4)2 · 12H2O Mon. At room-temperature, insoluble in H2O and slowly soluble in dilute HCl. Kampf, A.R., Plášil, J., Nash, B.P., Němec, I. and Marty, J. (2018) Uroxite, IMA 2018-100. CNMNC Newsletter No. 46, December 2018, page xxxx; Mineralogical Magazine, 82, xxxx–xxxx.